With technology advancing as it is, researchers and scientists have also discovered and are beginning to use alternative means to conduct experiments without the use of animals. These tests have less rates of error and can be more accurate in determining how the results can effect humans. For centuries animals have been used for experiments in the name of science. Scientists have urged the general public that these experiments are necessary, for the advancement of medical and scientific discovery. These scientists believe that without using nonhumans, there would be no way for us to know if the drugs or research discovered, would work or be safe for human use. This argument is flawed in many respects, but none more than the fact that nonhumans simply are not humans. Many of the experiments that bring desired results on animals does not necessarily bring the same results for humans. Actually this is the case way more often than not, with a vast majority of experiments that bring desired results in animals, but resulting in either adverse or no effect on humans. 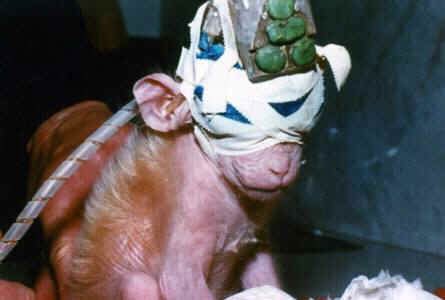 This then bears the question; why do we still use animals in scientific experiments and medical research? There really isn’t a good reason based on the facts. Researches and certain companies want us to believe that these experiments are necessary for our safety, but in reality these experiments are used by companies and researchers to hedge their liability, so that if anything does actually go wrong on the humans that use their products, they can show the results from the animal experiments to reduce their liability. Testing conducted on animals leads to millions of animals being tortured and killed every year, additionally, the results from the conducted experiments have little significance, as I stated earlier, on whether the conclusions actually have the same effect on humans. These animals are subjected to tremendous amounts of abuse in the form of testing these animals with new drugs, infecting them with diseases, burning them, causing brain damage, blinding them, and many other terrible practices. Lab animals endure tremendous amount of pain which ultimately leads to severe stress, psychological effects and an ultimately death. Also, many of the experiments that are done on animals lead to inconclusive results, which means that the animals used in the research have endured all that pain and suffering with absolutely nothing to show for it. Additionally, many of the animals that are being used for experiments are not being used to gather information on potential life saving drugs for humans, but are used for cosmetic research, which not only is not required by the law but unnecessary. Researchers and pharmaceutical companies urge that without the use of lab animals, there would be no cure or treatment for many diseases, which leads to public to turn a blind on animal experiments, believing that the use of animals in labs is necessary for the betterment of human lives. However, scientists are wrong in making us believe this. In fact, by allowing us to believe that testing drugs and other products on animals can give us a better understanding on how those products can effect humans is dangerous. Believing this gives people a false sense of security when they take drugs that can have completely different effects than the information that is gathered during the testing phase of the drug. With all of the torture and cruelty that is being endured, there are researchers that do look for the well being of the animal as much as they can. They stand by the 3 R’s of researching. 1) Replace the use of animals with alternative techniques, or avoid the use of animals altogether. 2) Reduce the number of animals used to a minimum, to obtain information from fewer animals or more information from the same number of animals. 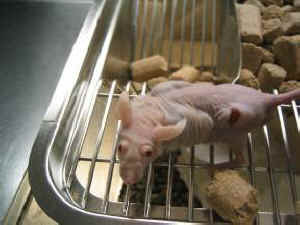 3) Refine the way experiments are carried out, to make sure animals suffer as little as possible. Researchers following these steps are at least taking steps in the right direction towards somewhat bettering the lives of animals used for lab research. With technology advancing as it is, researchers and scientists have also discovered and are beginning to use alternative means to conduct experiments without the use of animals. These tests have less rates of error and can be more accurate in determining how the results can effect humans. As society progresses and more people understand how poorly these animals are treated, and learn about how many alternative methods there are, I hope that one day soon testing and experiments on animals will cease so that animals that deserve to live free of human induced torture and death, can and will do just that.